Of course I want Zoe and Wade to get back together, how could you even ask me that? Unfortunately, that might not be the case when Hart of Dixie Season 4 returns in 2015. 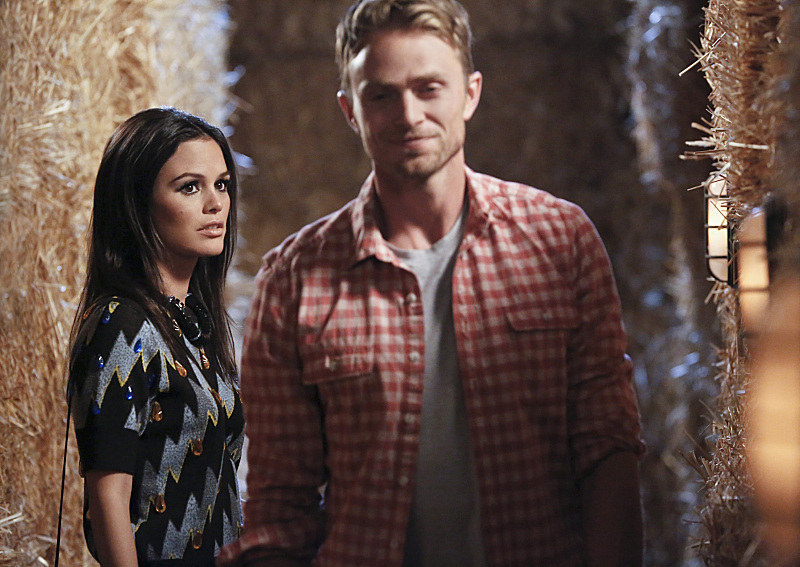 Our beloved Zade might be in big trouble with Hart of Dixie including Rachel Bilson's pregnancy and the casting of Doctor Henry as a potential love interest for Zoe. But, there could also be another problem — Zoe professed her love for Wade at the end of Season 3, but what if Zoe hasn't really changed enough for Wade? Way back when Zoe and Wade were dating in Season 2 — I know, it seems like so long ago — everything was all good until Zoe started trying to push him towards change. It was catastrophic, it was basically the reason why they broke up. Zoe tried to interfere in Wade's band, thinking that she was just trying to help Wade succeed, by telling him he'd have a better shot of winning the Battle of the Bands if George performed with him. And it didn't go well, Wade went rogue and ended up cheating on Zoe and lying about it until he finally came clean. But at that point, why should she take him back? Zoe resolved that he couldn't change (considering he'd cheated and used the same lie on his ex-wife, Tansy) and left. As far as I can tell, Zoe hasn't really changed that much. In fact, she's still constantly meddling in other people's business for better or worse — look at what she did when Lemon and George slept together or when she set up Harley and Grandma Sylvie this past season. I know Zoe thinks she's accepted Wade now that she's over his infidelity and part of the reason she's ready to jump back in is because he's shown initiative with his business. And I know she always thinks that she's "just trying to help." But is she really ready to accept Wade if he's a less-than-perfect father and the fact that he might not actually need help becoming the man she wants him to be? Here's the thing: Zoe wants Wade back, but she's also having a baby. We know that for sure now. And I really do believe that she thought that she could accept Wade and all his quirks and forgive him for cheating on her, but I'm not so sure if she can accept that for her and her (or their) child. She's going to need him to be a certain type of person and if he's not or if he can't handle her trying to make him change into that person, this won't work for them.